Kayube Estates has in-door parking space for approx 30 safari vehicles. 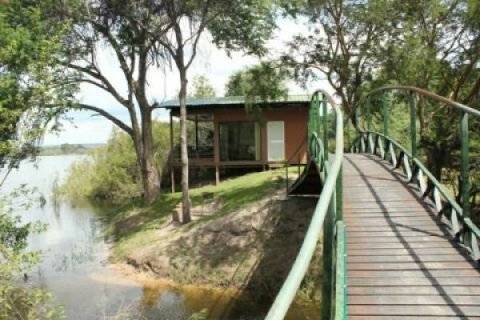 The Estate 90 ha Estate is fenced and is located right on the Zambezi River. We do have unique accommodation such as the Mama out of Africa and Kayube Bungalows, ideal to make the vehicle park-ready and spend the last night before returning home in the most spectacular place on the Zambezi River. Dickson is in charge of all the parked vehicle and according to your instructions he will charge the batteries of your vehicle or start it, however way you prefer. Our self-catering accommodation is located directly on the river's edge, hidden away under huge reverine trees, romantic, stunning and unique.